Welcome back to the new Ottobock Fireside Chats talk show, featuring host Lacey Henderson, and C-Brace® user, Monica Goulette. Plus, we will have a variety of interesting stories in upcoming episodes that you won’t want to miss, so sign up below to get new program links sent to your inbox. As a child, Monica Goulette contracted a viral infection that was eventually diagnosed as Lyme disease. This illness caused her right leg to become completely paralyzed. At age 16, she began using the C-Brace® microprocessor-controlled orthotronic mobility system. This life-changing device opened doors to a new level of independence for Monica—who soon discovered her passion for adventure and the courage to travel the world on her own. 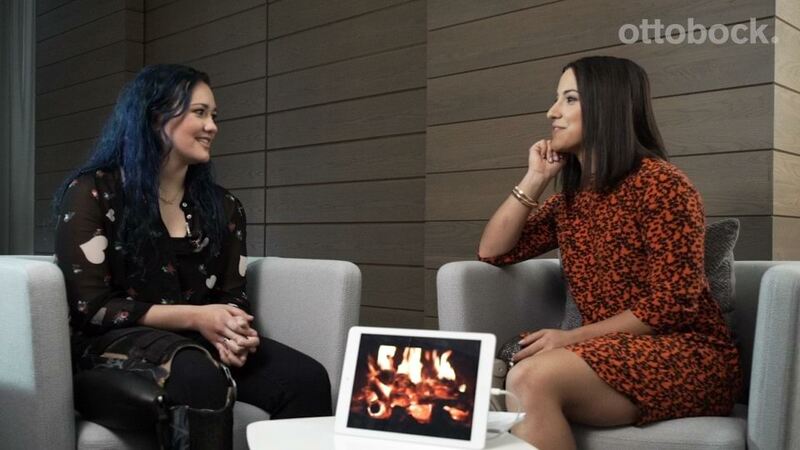 Monica joined her friend and Fireside Chats host, Lacey Henderson, to share her story. In the first of three episodes, Monica describes her experiences living with a debilitating illness and the hurdles she faced with her changing “physical status” and the emotional shifts through her journey. She also discusses how challenging it was as a preteen to adapt to a different type of life than she imagined she would have, and how a sudden illness or injury impacts close relationships. However, Monica feels fortunate to have an exceptionally supportive and uplifting family. One of her special memories occurred when she relied on a wheelchair to get around, and her brother made sure she had a great time at her first high school dance. “He recruited about 15 of his friends and they carried me through the whole dance,” she recalled. Learn more about Monica and sign up below to be notified about future episodes. Sign up to get Fireside Chats in your inbox. Register to be the first to know about each new episode and to get more updates from Ottobock. The views, opinions and positions expressed by the authors and those providing comments on this publication are theirs alone, and do not necessarily reflect the views, opinions or positions of Ottobock or any employee thereof.